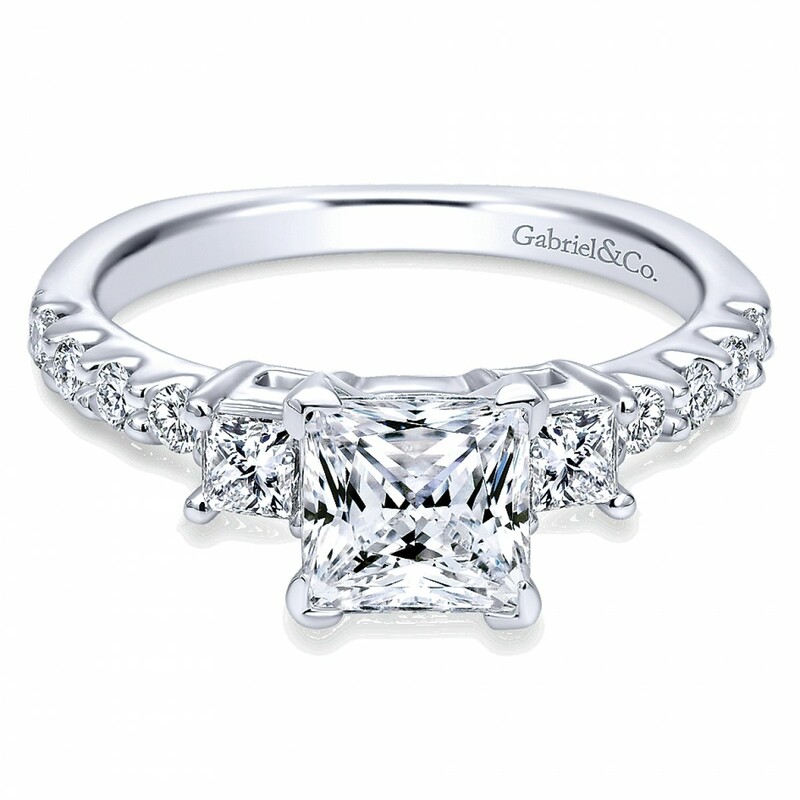 14k White Gold Solitaire Engagement Ring | Gabriel&Co. 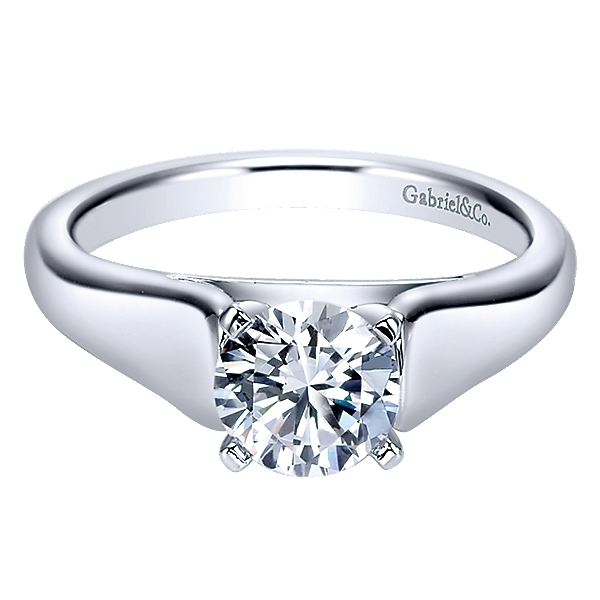 This simple, yet beautiful engagement ring is part of Gabriel & Co’s Contemporary collection and can be fitted with any stone 6.5mm – 1ct. This Gabriel & Co style er94285 engagement ring is a gorgeous three stone diamond ring with prong mounting up to .47ct round diamond. 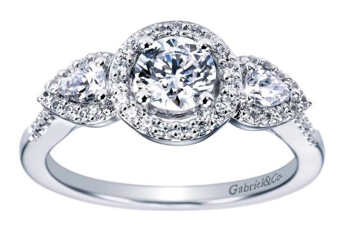 The Gabriel & Co style er5825 is a classic contemporary diamond ring that can hold a custom stone and different metal options. 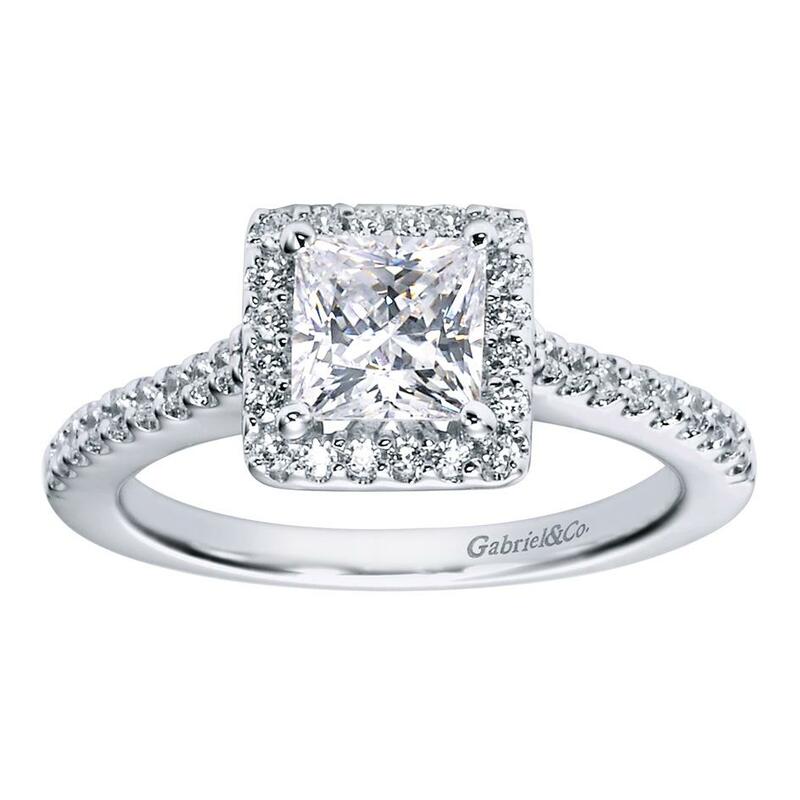 Next:14k White Gold Diamond Straight | Gabriel&Co.